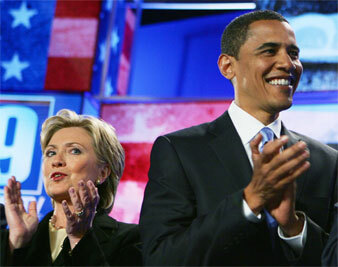 Finally, the Democratic campaign can begin to focus on what really matters--healthcare, the economy and leaving Iraq. showed, with a convincing win in North Carolina and a near tie in Indiana, that the previous three months were not an aberration. He is, if by a narrow margin, the clear choice of Democratic voters and should be the nominee. Even if Hillary Clinton were to bully the DNC into seating the Florida and Michigan delegations, she cannot make up her gap in pledged delegates. Thus, superdelegates should move quickly to affirm the voters’ choice and bring the nominating contest to a close. Any other result, one in which the voters’ preference is subverted by party insiders, would lack legitimacy and inflict long-term damage on the coalition needed to build a progressive majority and to win in November. This is not to say that Clinton should stop campaigning; she has every right to stay in. Indeed, to the extent that her continued presence in the race forces Obama to sharpen his economic appeal to working-class whites and older voters, it may have a salutary effect. But in the interest of a serious and principled debate about what’s at stake in this election, she should stop pouring fuel on the ReverendWrightBillAyersFlagPin brush fires. It also does damage for her to run as a reborn right-wing populist, as she did when she endorsed and campaigned on John McCain’s proposal to suspend the gas tax this summer. What Clinton can do is turn her sights on McCain and draw out the deep contrast between the candidates of the two parties. The Obama and Clinton camps clearly have different views on the question of whether voters can be trusted to see through the gimmicks and smear tactics that have come to dominate presidential campaigns. The stinging defeats of the Bush years (and, stretching back, of the age of Reagan) have induced a nagging self-doubt among many on the center-left. They just don’t trust that a majority of people are actually with them–or they’ve stopped believing that public sympathy will mean much once the right unleashes its culture-war arsenal. But a CBS/New York Times poll showed a majority opposed to the gas tax cut, exit polls showed voters to be largely unfazed by Reverend Wright, and Obama maintained or increased his share of the working-class white vote in Indiana and North Carolina. Which means: blue-collar voters, and voters in general, are smart enough to see through the condescension of politicians selling a policy their own advisers say is bunk or peddling guilt by association. Now that this campaign is in its final stage, there’s a possibility of reorienting the conversation toward things that matter–defining McCain as more right (and more wrong) than Bush, ending the Iraq occupation, repairing our patchwork healthcare system, regulating runaway financial markets–and away from things that don’t.